What the hack is a hackathon? A phrase that you may have heard more often over the past few years is “hackathon” – but what is that, anyway? Despite the mental image the phrase might conjure up, the event almost always does not involve “hacking” into security systems. Major League Hacking (MLH), the official student hackathon league, defines the event as being an “invention marathon” for anyone with interest “to learn, build & share their creations over the course of a weekend in a relaxed and welcoming atmosphere”. Participants, or “hackers”, come together to work as individuals or teams to create a project (their “hack”) from scratch. Not all hackathons have to be for students! Anybody can run their own hackathon anytime, anywhere (or even nowhere by being online only). MLH-partnered events specifically cater to students in college, university, and even high school. One such event is Hack the North. 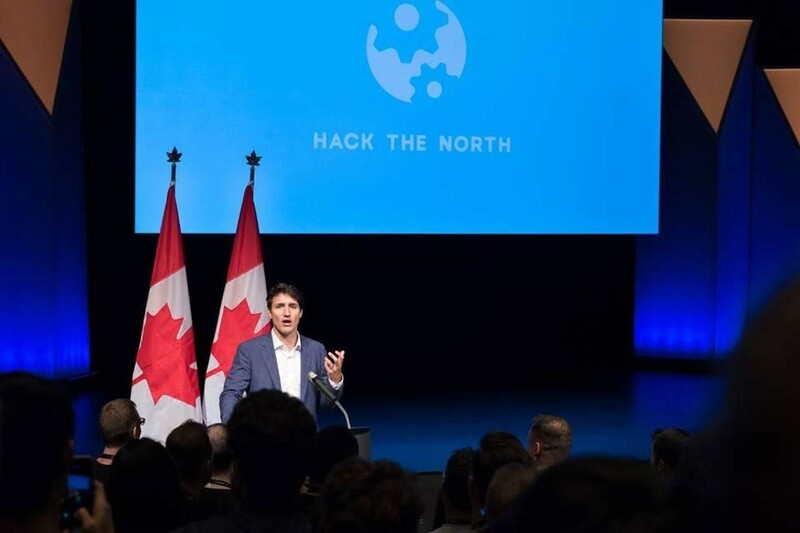 Hack the North is Canada’s biggest hackathon. Founded in 2013, the event has run every September since on the campus of the University of Waterloo. Having spent the past two years as an organizer for Hack the North, it has been an amazing experience to see the impact that the event has. Each year we bring together 1,000 students from around the world to learn, build, network, and share. Forming teams of up to four, each year we’ve had around 200 projects submitted and then demoed to panels of industry leaders that decide on the top hacks for the year. Over the years, we’ve hosted individuals like Sam Altman (President, Y Combinator), Alexis Ohanian (Co-founder, Reddit), Chamath Palihapitiya (Founder, Social Capital), Vinod Khosla (Co-founder, Sun Microsystems), and even Canadian Prime Minister Justin Trudeau. There’s more to a hackathon than just building projects and getting to be in the same room as some incredible leaders. We’ve hosted workshops for all skill levels throughout the weekend and have held panels on cryptocurrency, design, as well as diversity and inclusion in the tech industry. The real value for hackers is not free food or swag, as much as these things are appreciated and welcomed. Hackathons are a great place to learn new skills. Often workshops are hosted on various topics, ranging from beginners to the more advanced. There’s no better way to develop skills than to apply them, which building a project from scratch allows you to do. Many hackathons have mentors available who have expertise on different topics – able to help with everything from scoping out an initial idea, to troubleshooting a pesky bug. Along the way in building your project, it’s a great chance to meet and work with new people – helping develop your network in the process. At the end of the event, you’ve also built something to be proud of. Whether it’s a personal accomplishment, a portfolio piece to help with career advancement or even something that can be built out into a full new product. Above all else though, they’re fun! Not only is getting to take a break from your regular day to day and experimenting with new technology a way to shake up your schedule, but there’s no reason you can’t have a good time along the way. 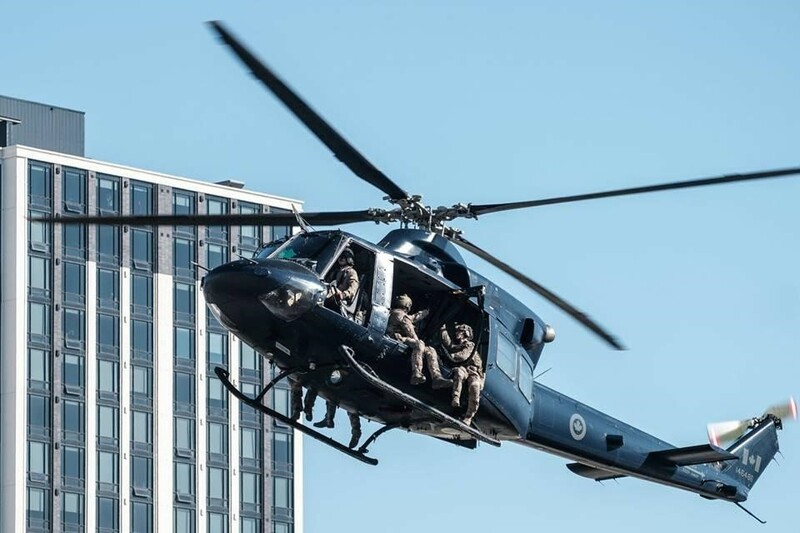 Some events we’ve run at Hack the North in the past have ranged from late-night karaoke to a live demonstration from Canadian Special Forces. There’s no reason why hackathons can’t be accessible to those no longer in school. Some hackathons are open to everyone, such as the ETH Global events which are centred around blockchain technology. A company can also run their own hackathon for employees too. They can be a great way to energize and engage employees, let alone be sources of innovation to improve existing products or create new ones. Shopify, a leading e-commerce platform, runs quarterly “Hack Days” where employees are given time to build something new and demo it to their colleagues after a two-day break from regular work activities. Hackathons are great opportunities not just for the participants, but from my experience, the sponsors as well. 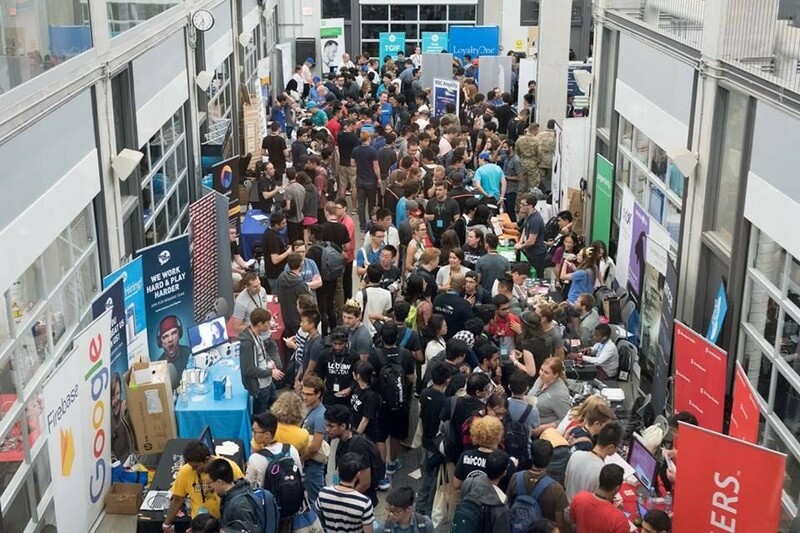 For companies that are looking to increase their outreach among students whether it’s looking to hire interns or graduates, or are looking to get their platform or software development product in front of talented engineers, the events are great opportunities to generate exposure. Some hackathons may have themes that are related to your industry or market, while others may offer specific prizes for use of certain tools or technologies. Contributing to an event as a sponsor is a great way to help give back to the community as well by helping the next generation of talent grow. Any company can host or organize their own hackathon too! It’s not uncommon for a company to host one themselves either on a school’s campus, their offices, or an offsite venue. Doing so allows you to put the focus specifically on your company’s market or products, which may lead to a smaller but more focused group of attendees. Another option is running an internal hackathon, like Shopify’s Hack Days, just for company employees. This can be a great way to forge new connections across different teams, breaking down silos within an organization. Great post and interesting read! Thanks.